Credit Card Processing. ACH Credit Card Processing. E-Check Credit Card Processing. Does your company need to accept both Credit Cards and ACH Payments? Many merchant organizations have the need to accept both ACH and credit card transactions. Ideally, this is accomplished from a single source, providing both merchant accounts. Moreover, the processing provider should be able to accommodate the necessary tools to meet the merchant organization’s requirements, whether they be API integration, web based virtual terminal, website payment utilities, IVR payments or a bill lookup and payment solution. 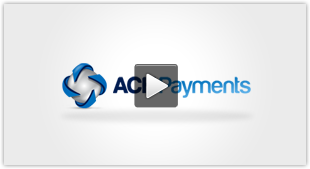 Here at ACH Payments, we can supply all the tools required to meet any needs for integrating or managing both credit card and ACH payments. They know their customers well. Many have a recurring payments (subscription based model) component. Their risk of product loss via shipment before settlement is far less than an organization who sells products that are not of a subscription model. Processing costs. ACH payments cost a merchant organization far less than credit card processing. Pricing for ACH transactions start under 30 cents. For comparison sake, let’s take a merchant that has 2,000 transactions per month with an average sale amount of $100.00. Credit card processing costs would amount to greater than $5,500. Those same sales processed as ACH transactions would amount to less than $600 in processing costs. Credit card declines: Credit cards have expiration dates. Bank accounts don’t. Further, credit cards are compromised far more often than bank checking or savings accounts. For a merchant organization of a subscription based model, credit card declines create a great burden to tracking down new credit card data. While ACH Payments started off 19 years ago providing needs only for ACH processing, it was only a few short years later that we began meeting the needs for integrated processing of both credit cards and ACH payments. These two payment vehicles are both required for many merchant organizations. API integration. Both RestFUL and SOAP API integrations are available. Canadian processing. ACH Payments can facilitate credit card merchant accounts for both the USA and Canada. We can also provide Canadian EFT processing as well as USA ACH processing. Credit card decline management. ACH Payments can provide credit card updater services as well as additional decline management tools. PCI Level one platform. While ACH/EFT transactions are not subject to PCI requirements, they should be. Both credit card and ACH/EFT transactions run on a PCI level one platform. Tokenization. All API integrations and utilities can return reference tokens to be stored on your platform, greatly reducing PCI scope and risk of sensitive data theft. Revenue sharing. Software applications of a vertical nature can share in revenues by leveraging their vertical base. Risk mitigation utilities. Bank account verification and authentication is available, including account ownership and funds availability. ACH adoption assistance. In some cases offering ACH as an additional payment vehicle doesn’t mean it will be adopted in great numbers. We have 19 years of experience in increasing adoption rates to ACH. We’re here to help your organization in a number of ways to increase ACH the adoption rate. White label. Does your company want the processing to remain behind the scene? We have white label opportunities that can allow your company to be in the forefront of the processing of payments. Application and underwriting process. Need your prospective software application user to apply from your website or mobile application? We can provide an API for doing just that. Understanding requirements. Here at ACH Payments, we will take the time to listen to your requirements and help you formulate the right solutions in order to meet your needs. Experience. We have 19 years of experience in assisting organization of all sizes for credit card and ACH processing needs. Ease of data transfer. Should you ever want to leave our family of merchants, we don’t hold your data hostage for migration. Some details about data migration: A company that wishes to migrate from one processor to another must do so in a secure fashion. Details vary from processor to processor. In some cases a merchant must have a minimum number of customers in order for the merchant account provider to even consider a transfer for migration. In other words they are stuck until they meet than minimum number. In other cases the existing merchant account provider will demand an exorbitant fee in order to migrate the data. We have seen such fees in the thousands of dollars – in once instance an existing provider demanded in excess of $10,000. Ridiculous! Don’t let you data be held hostage. We don’t. While yes, there is some work involved, our data migration fee rarely exceeds $100. 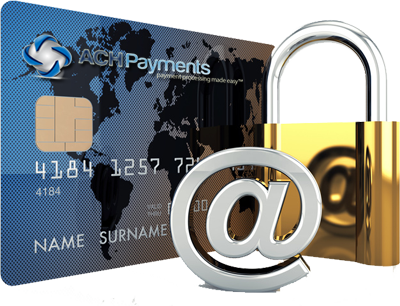 ACH Payments provides secure and reliable credit card processing with ultra-fast response times. Most importantly, we’ll breakdown all the credit card industry jargon and explain to you in the simplest way possible, how credit card pricing works and why opting for our interchange plus pricing model will best work for you. Perform single and recurring transactions. Accept point of sale and card not present (MOTO) transactions. Integrate e-checks into a singular platform for ease of management and report reconciliation. Add AMEX and Discover with ease. In combination with our integration methods you can enable ERP, CRM, CMS and almost any application you can think of. Contact us now to learn more.